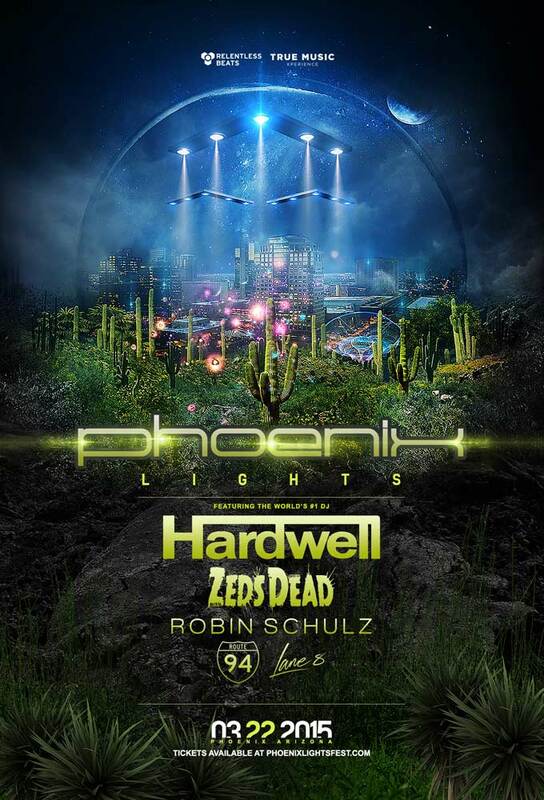 Fans of the EDM heavy festival Electric Daisy Carnival can certainly whet their appetite this weekend at the Phoenix Lights Festival in Downtown Phoenix. Electro-House heavy hitter Hardwell shines as top billed with Zeds Dead, Robin Schulz, Route 94 and Lane 8 also performing. One act to look out for is Dirty Bird’s Kill Frenzy. The German tech-house (err booty-house?) producer promises to have a good showing. Kill Frenzy is definitely a stand-out act to see and should be performing early so do not miss it. The festival is this Sunday, March 22nd at Civic Space Center in the heart of Downtown Phoenix. There’s also going to be a post-festival party at the Monarch Theater with Zeds Dead. Get ready to call in sick Monday morning because this fest is going deep into the night. The festival is this Tickets are available online for $65.00 or can be purchased at various Zia Records in Phoenix.